Mark Barnes is an incredibly gifted photographer in St Louis, and on a couple of occasions, I had the pleasure of working with him. He and I collaborated on the Spectrum flier in this section, and I also did some work for him. 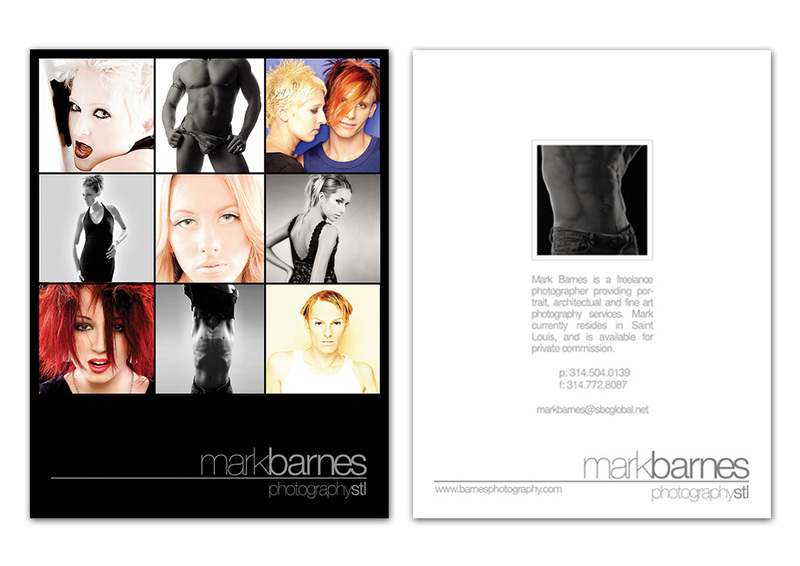 A small splash page and this flier were a couple of the projects I completed for him.